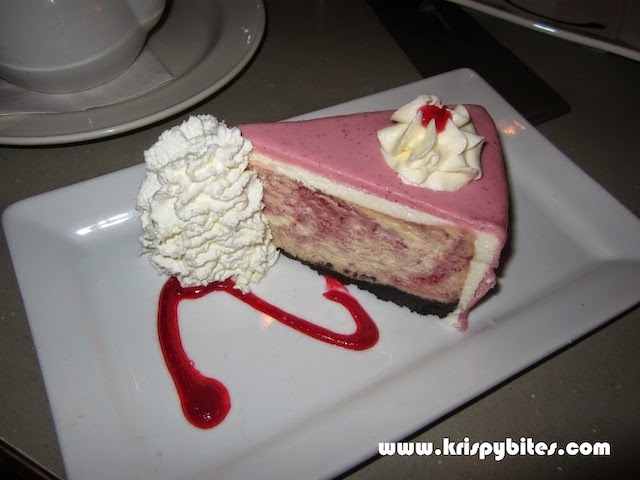 The first time I heard about The Cheesecake Cafe, I imagined a restaurant similar to The Cheesecake Factory chain in the US. Although the decor here is a lot less glamorous and there aren't as many menu options, this is a friendly family dining establishment featuring dishes inspired by cuisines around the world. 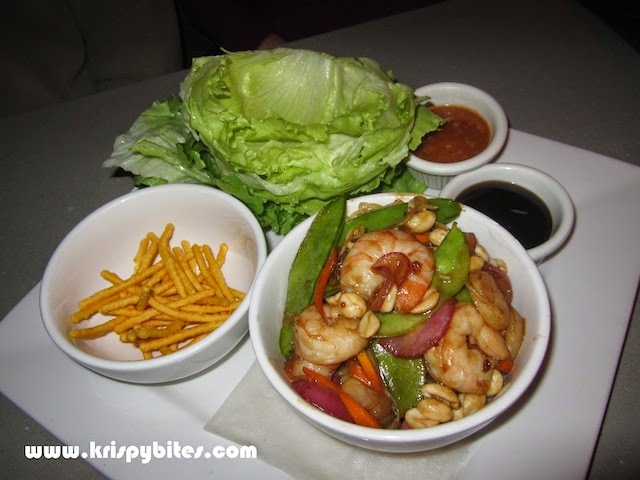 One of the most memorable was the lettuce wraps with the choice of chicken, prawn, or veggies (chicken/prawn: $14.50; veggie: $10.50) accompanying sweet and sour stir-fried rice noodles in fresh and crisp lettuce leaves. The stir-fry also had crunchy water chestnuts, snow peas, red onion, carrots, and peanuts! This is one of my favourite lettuce wraps because I prefer the soft stir-fried noodles to the crunchy deep-fried ones served at a lot of other restaurants. 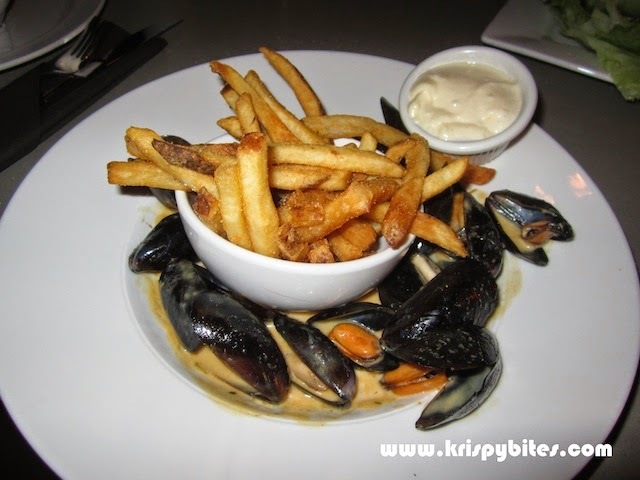 Another appetizer I tried was the mussels frites ($11.50) with half a pound of steamed mussels. The mussels were really small and not particularly juicy or tender. The creole sauce was also not as flavourful as it looked. But the fries were among the crispiest I've tasted and I found them quite addictive with the garlic aioli. Considering the name of The Cheesecake Cafe, I thought a slice of their signature cheesecake was a must-try. I asked the server which was the most popular option, and he recommended the white chocolate raspberry ($8). It was very rich and creamy with a fruity berry flavour and a chocolate crumb bottom. 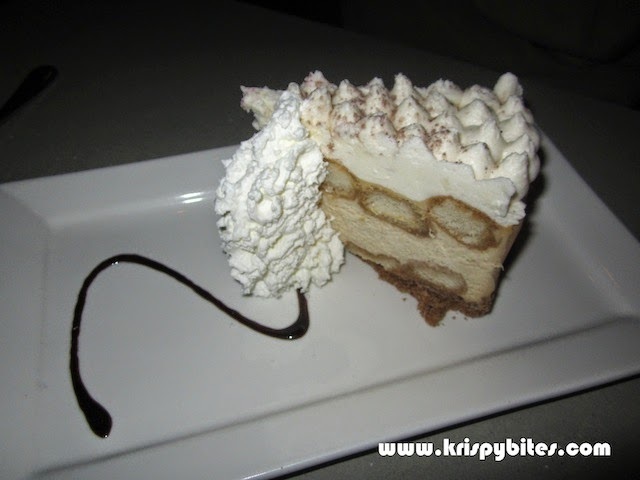 I also tried the tiramisu cheesecake ($8), but was quite disappointed in the flavour and texture. The white chocolate raspberry was definitely the better choice. On another visit, I tried the Thai wontons ($5) which were surprisingly good. 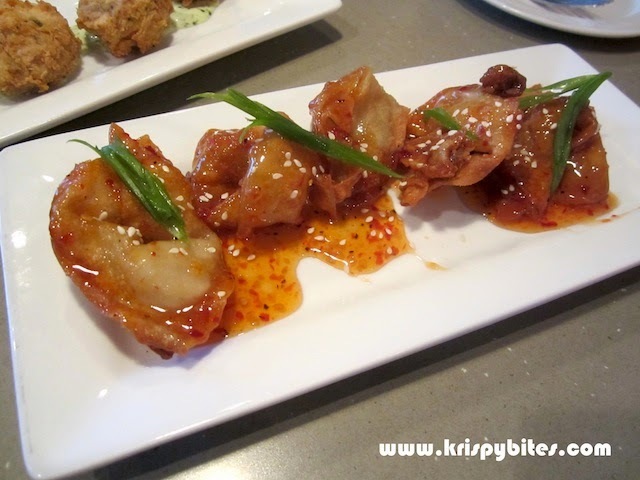 The deep-fried crispy wonton wrappers had a chicken meat filling and were tossed in a generous amount of sweet Thai chili sauce. All in all, The Cheesecake Cafe is a decent place to grab a bite. But with so much competition in the area, I would probably only choose to dine here if I were craving a slice of its signature cheesecake.